The GIFT (Giving in Faith & Thankfulness) campaign was launched in Advent 2016 to support the archdiocese’s vision of a more vibrant, missionary and evangelistic Church. Every Catholic is challenged to pledge a monthly contribution for the archdiocese’s operational and building needs. This quarterly report updates on the campaign’s progress. GIFT had an encouraging start to its second year with an increase of $1.4 million in contributions for the first calendar quarter against the same period in 2017. This upward trend has continued with 2018 second quarter’s collections of $3.3 million, an increase of 50 percent over the second quarter of 2017. The increase in contributions for this quarter is primarily due to the increased generosity of givers to the Bethany East Fund and the SFX Seminary Building Fund. These restricted funds have been set up for the capital building needs of the two projects. In total, GIFT has collected $26.7 million since its launch in November 2016. Thanks to the abundant love and support shown by Catholics throughout Singapore, contributions to the archdiocese through GIFT has seen an increase in each month this year, as compared to 2017. This is a special purpose fund set up to provide for the expected expenses of caring for the well-being of priests, especially the elderly priests. Monies received in this fund will help to cover the living expenses, medical and other welfare needs of priests. Rising medical costs has made it a necessity to ensure that sufficient resources are set aside for the shepherds who have given their lives in service. Contributions to GIFT can be made either to restricted funds (such as the Clergy Welfare and Retirement Fund) for specific causes, or to the GIFT general fund, which allows the archdiocese to channel funds to where the needs are the most urgent. 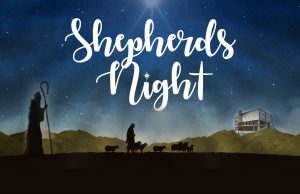 Shepherds Night is a very special evening to be held on Saturday, 28 July 2018 at the new St Francis Xavier Seminary Building at 618 Upper Bukit Timah Road (St. Joseph Church Bukit Timah). Attendees will be amazed at the amount of talent among our priests of today and tomorrow as they present items throughout the evening, while you dine on dishes prepared from some of the clergy’s favourite recipes. The SFX Seminary Building Fund has yet to meet its fundraising target. Tables for Shepherds Night are also still available. Those interested in helping to achieve the fundraising target, should contact Caroline at seminary.cf@catholic.org.sg. Though the GIFT campaign is off to a good start this year, much more prayers, time and resources are still needed to realise the vision of the archdiocese. The response of every Catholic is crucial in building up the Church for generations to come. Find out more about the vision of the archdiocese, and pray for the Church today. Help gather your friends and family to pledge a contribution to support the work of the Church, or volunteer with the Catholic Foundation. 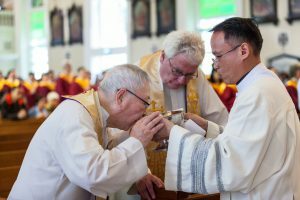 Every Catholic in Singapore is encouraged to pledge a monthly contribution, to build up the Church for generations to come. Click to pledge online or pick up a GIFT envelope at your parish today.